In the world of food writing, restaurants with multiple locations (dare I say ‘chain’?) are portrayed often as second class. Reviews or endorsements of those types of restaurants, more often than not, tend to be more along the lines of press releases and paid marketing. I absolutely believe in the power of promoting a small, local find, the hidden gems; the pride of the community. But it is not unexceptional when a restaurant group executes a concept well across geography, especially when its food and beverages are upmarket. Connecticut-based Barcelona carries real dining currency for me. It has become one of my favorite restaurants for its large menu of near-perfect Spanish small plates, wines, and Spanish charcuterie. Barcelona’s fare is so good that I’m willing to put up with their questionable reservation and wait list practices and crowded bar to wait for a seat. Washingtonians seem to agree, as I’ve yet to see the restaurant anything other than packed, and its owners, Barteca Restaurant Group, recently added a location to suburban Reston, Virginia to their ten existing restaurants along the U.S. East Coast. What do I recommend? Everything. After several visits, I’ve yet to try anything I wouldn’t recommend. But I’ll share a few standouts. Please note that the menu may have changed, and if you have a location in your area, menus may vary. 1- Grilled hangar steak. Do not attempt to share this dish. You will want your own. 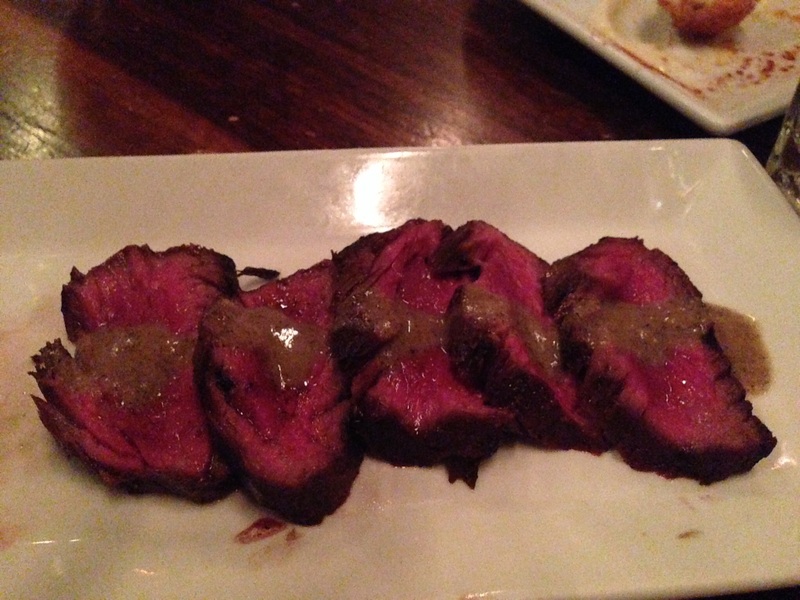 Tender steak is sublime with a balsamic-black truffle dressing. 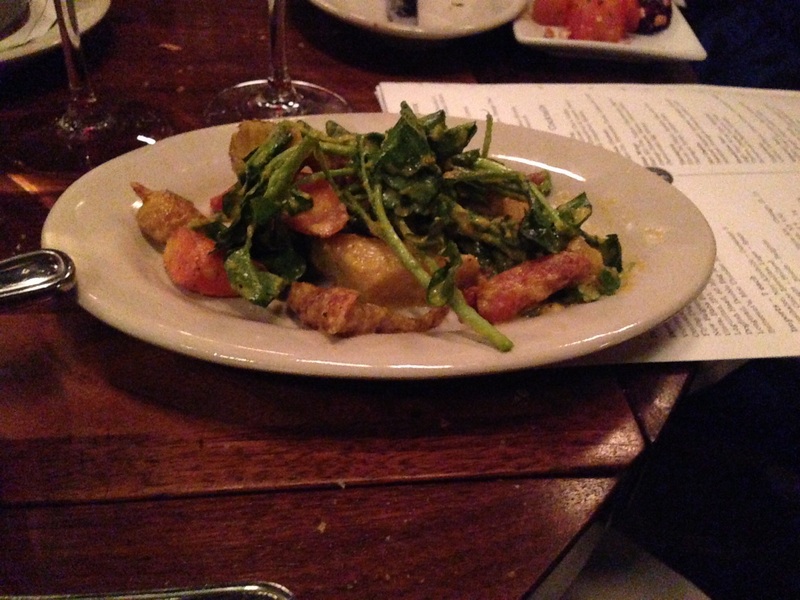 2-The roasted carrots. This cold salad makes roasted carrots so flavorful that they’re worth karats with a thick ginger dressing that I would put on everything and a counterpoint of bright watercress. 3- The warm sheep’s cheese melts in your mouth. Whether scooped up with buttery, rustic toast points or Barcelona’s soft but crusty fresh bread, the tangy cheese and rich marinara will not last long. 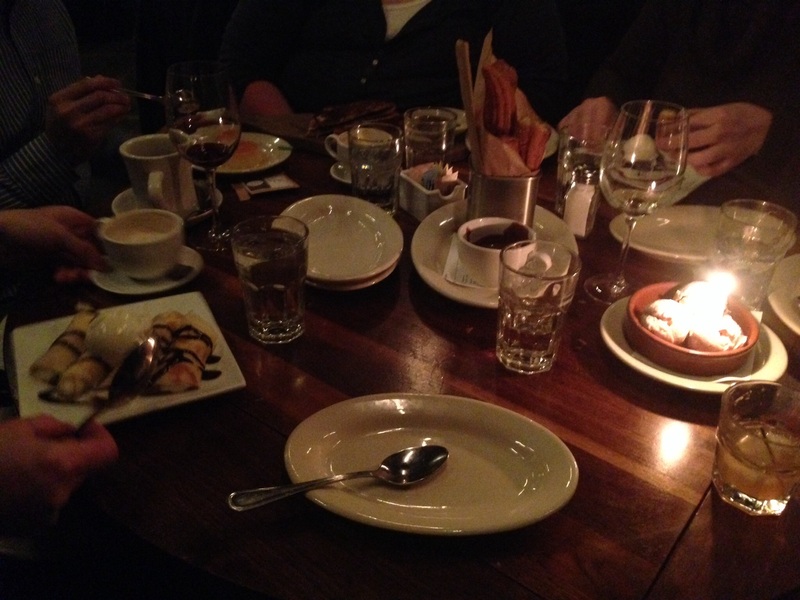 4- The churros. I’m not usually a fan of churros, but Barcelona’s are fantastic. Crisp and cozy with cinnamon and sugar on the outside, soft and pillowy on the inside, they’re delicious on their own. Barcelona’s not-too-sweet caramel and chocolate sauces transform them into a memorable dessert. I’m also a large fan of cheese and charcuterie plates, and Barcelona’s selection is no joke. Their albondigas (meatballs) and chicken empanadas are also great for groups and picky eaters. Unexpectedly for a restaurant dedicated to Spanish cuisine, their fries steal the potato show from their traditional patatas bravas. I can’t rave enough about these addictive fries. I can’t talk about Barcelona without discussing their selection of Spanish wines. I highly recommend one of their three wine flights. 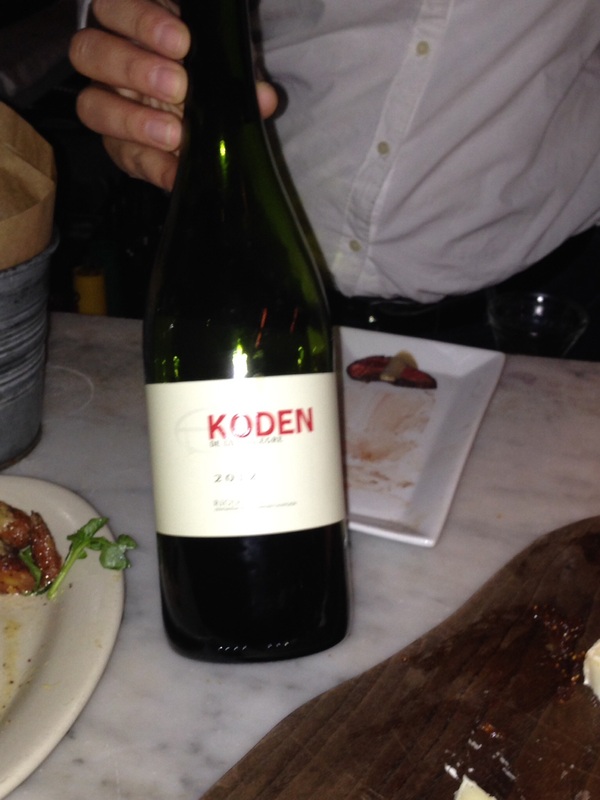 The Rioja flight is my favorite, consisting of a white Rioja and two reds, one of which, the Koden, has become a personal favorite. It has depth and a rich berry nose, but its tannins and oak are smooth. The Grenacha flight is also great, with more variety (a cava, a white, and a rose). For a modern twist on traditional Spanish cuisine, Barcelona is a great spot. Wow, I really like what I am seeing and can here my stomach grumbling. Looks like a great place. We have something similar at our WordPress: Campbell Restaurant, and love to mix up our menu. Thanks for sharing your experience.